LITERARY CONNOISSEURS: Be cautious here — this can be a disaster, as was the case when a cousin of mine received a diet book from her mother for Christmas. When she opened the gift, she burst into tears, retreated to her room, and refused to eat for the rest of the weekend. Avoid all diet books (unless they are specifically requested) — they just don’t send a good message. Fitness books, on the other hand, usually go over well. For fitness beginners, I like The Pocket Trainer: Strength Training Guide (Flexor Press, $19.95). This book has great exercises with photos and easy-to-follow descriptions. Healthy cookbooks are also wonderful presents. The Golden Door Cooks Light & Easy: Delicious Recipes from America’s Premier Spa (Gibbs Smith Publisher, $29.95) by Michel Stroot has some low-calorie, scrumptious recipes. If you can find his first book, The Golden Door Cookbook — it’s a favorite of mine, and it also includes all #nutrition information. Chef Cary Neff, of Miraval Resort and Spa fame (where he was executive chef for eight years), has a splendid book called Conscious Cuisine: A New Style of Cooking from the Kitchens of Cary Neff (Sourcebooks Trade, $39.95). When I visited the spa, I was always impressed by the great taste and simplicity of the healthful #food. The American Heart Association has a brand-new book out with recipes and nutrition information called One-Dish Meals: Over 200 All-New, All-In-One Recipes (Clarkson Potter, $23.95). BASKET CASES: For a memorable gift, you can create your own “health basket” using any or all of the following: cooking or fitness books, pedometers, cardio or yoga DVDs (a great starting point is Yoga Journal’s Yoga Step-by-Step series available at www.yogajournal.com), jump ropes, stretching bands, an exercise or yoga mat, and even a heart rate monitor (Consumer Reports recommends the Polar A3, which costs about $80). If you’re more interested in sending a healthy food basket, order online from www.thehealthybasket.com or www.harryanddavid.com (their fruit and vegetable baskets are preferable — skip the baskets with cakes and other high calorie foods). Or you can simply get a great-looking basket from a crafts shop, buy some firm and clear cellophane paper, and go to the best fruit and vegetable stand in your neighborhood. 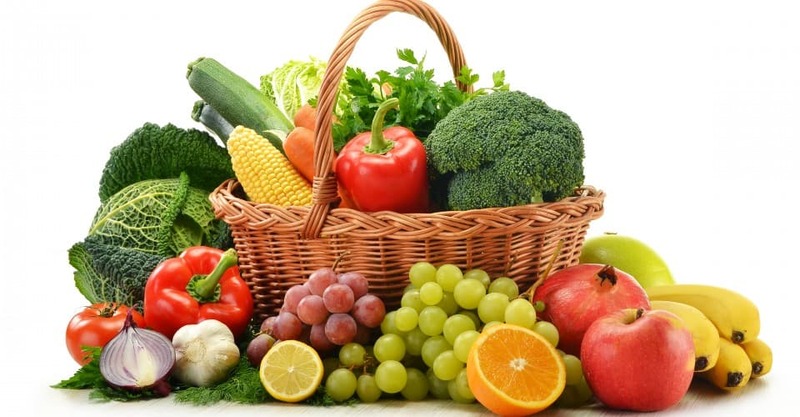 Fill the basket with an assortment of fruits and vegetables, including: pears, oranges, apples, peppers, tomatoes, carrots, grapes, and pineapples. Some grocery stores sell the baskets already completed, and some will even help you create them — just ask. SUBTLE REMINDERS: Magazines and newsletters make terrific gifts — they’re inexpensive, and with a new issue every month, they’re truly the gift that keeps on giving. If you need a last minute gift, simply buy a single copy of the magazine, wrap it up, and drop a gift subscription card in the mailbox — it’s perfect. Plus, magazines and newsletters are always running specials and free offers, so maybe you can get a free subscription for another friend too (or yourself!). In terms of selecting magazines that are inspiring, motivating and packed with high quality information, my picks for women are Fitness, Self, and Shape, and for men, hands down, Men’s Health is the best out there. As for newsletters, Food & Fitness Advisor by Weill Medical College of Cornell University offers cutting-edge nutrition and health information (available by calling 800-829-2505), and the Nutrition Action Healthletter by Center for Science in the Public Interest has excellent advice in an easy-to-read format (www.cspinet.org). FITNESS MANIA: You’re always seeing those exercise machines on late night infomercials — do they work? Do they make good gifts? Consumer Reports recently reviewed some of the top sellers, and unfortunately, the best ones are a bit expensive. For aerobics, the Treadclimber by Nautilus (TC3000) tested very well and costs $2,000 (800-436-7114). For strength training, Consumer Reports recommends the Bowflex Power Pro XTLU, also expensive at $1,750 (888-577-1052). For a bit less money, you can go with the Crossbow by Weider (WESY5983) for $695 (800-260-8996). As for abdominal devices and bun and thigh machines, don’t bother — Consumer Reports couldn’t recommend any of them. Does this mean that you have to spend a fortune on a fitness gift for the home? Not really. You can get someone a bicycle — Giant makes a great beach bike called the Simple Cruiser for around $200; it’s comfortable, lightweight, and made for anyone, not just athletes. You can also get other workout classics like cast iron dumbbells, which cost about $.50 per pound (e.g., a pair of 20 pound weights would cost $20). Neoprene dumbbells are a little pricier at $1 per pound. For women, three, five, and eight pound weights are typically appropriate, and 10, 15, 25, and 30 pound weights for men. Exercise balls are another inexpensive gift at about $20 to $35, but remember to buy the optional pump for an additional $15 (www.fitball.com). Another hot product that is regaining popularity is the medicine ball — yes, a medicine ball — they run anywhere from $15 to $50 (www.thesportsauthority.com). Make sure you buy the workout books that go with it, which cost an additional $8 to $10. CERTIFIABLE: Another idea is to give your friend or relative a membership to a fitness club or yoga studio. Or even better, buy him or her dance or tennis lessons. How about a gift certificate for a session with a qualified personal trainer (ACSM certified)? You can even hire a personal chef to cook your gift recipient a healthy meal for about $50 to $100. Another unique idea is to treat someone to a series of hiking, walking, or biking tours.